How Will Facebook's Data Scandal Impact Hotel Marketers? How Will Facebook’s Data Scandal Impact Hotel Marketers? “…booking provider eviivo… offers independent hotels and B&B’s pretty terrible advice. Their claim? Quoting Travolution here, “social media has negligible impact on hotel bookings.” And someone’s done the research, so it must be true, right? Social media marketing is not a waste of time for hotel marketers when you do it correctly. Neither are OTA’s. Or search. Or email. Or… well, you get the point. They each play a role to help your guest choose your property when they’re ready to book. When you choose your channels appropriately and manage your resources effectively you’ll find that you rarely waste time. And that your business performs well, too. According to Nielsen, most people trust the recommendations they receive from their friends and family on social. And on average each of your guests connects with roughly 200 friends and family on Facebook and other social media. Your existing guests offer you a trusted connection with these potential customers. Of course, all that was before Facebook’s disastrous week. Two separate scandals in the last week — so far — about the consumer data that the social media giant captured, used, and shared with marketing partners have suddenly led to campaigns encouraging users to #DeleteFacebook. Folks like Elon Musk took this message to heart, deleting his company’s Facebook pages between the announcement of the first and second Facebook scandals. And that’s in addition to the 2.8 million young users who beat #DeleteFacebook to the punch by abandoning the platform last year. So, what does this mean for hotel marketers? Should you #DeleteFacebook too? Will Facebook’s problems change how hotels use social media? If the answer to that is “yes,” then the decision of what you should do as a marketer is straightforward. Except for exceedingly rare cases, you probably didn’t start using Facebook while it was restricted to college campuses — not just because because you couldn’t, but because there was no good reason why you would. Your customers simply weren’t there then. And, as ever, you must watch where your customers go on this one, too. Now, that doesn’t mean you can’t take a principled stand. If you genuinely believe Facebook hurts society — that they’re the only bad actor here — then I certainly won’t criticize you for following your conscience and deleting your hotel’s Facebook presence. I suspect the reality is a trifle more complicated though. Yes, Facebook definitely used consumer data in ways that customers didn’t understand, sometimes because Facebook made it difficult to understand — and sometimes because they made it difficult to choose a better option to protect your data if you did understand it. That’s… not good. They should be held to account for these actions and offer — ideally on their own, but by regulatory oversight if necessary — better controls and protections for consumers. They’ve also executed — and, frankly, continue to execute — one of the worst public relations responses to a crisis of this magnitude I’ve seen in a while. For a company that facilitates communication, they’re remarkably bad at communicating. They keep trying to frame the problem as one where a few bad guys broke the rules instead of acknowledging the fundamental breach of trust between the company and its customers. Plenty of lessons there worth learning. It’s also true that Facebook is hardly the only guilty party here. Their practice of collecting call data on Android phones worked because Android’s parent Google allowed it to work. Do we know who else captured similar data and for what purposes? Has Google acknowledged how many consumers have had their data exposed? Or what happened to all the data after Google changed its policy? I’m not aware of any public answers to those questions. And yet I haven’t run across a #DeleteGoogle campaign so far. And, if I had, would you be willing to dump the search giant from your hotel marketing plan? Could you if you wanted to? Worse, these scandals are likely far from over. I’d expect at least a few more shoes to drop before we find our way to a “new normal” — at this point I’ll be more surprised if another scandal doesn’t emerge. How should hotel marketers respond to Facebook’s troubles? Avoid collecting any data on Facebook that you’re not already gathering. It’s possible this drags on for months or years, complete with congressional committees subjecting Mark Zuckerberg, Sheryl Sandburg, and other Facebook functionaries to public confessions and the floggings that follow. It’s also entirely possible this blows over in a couple months as some new, more juicy scandal attracts media and mainstream attention. I mean, it’s not like there’s some crazy story coming out every day that distracts people from the crazy story that happened the day before. But when you find yourself in a hole, the first thing you do is stop digging. Facebook is in a hole; there’s no need to grab a shovel and jump in with them. More plainly, don’t give their critics a reason to come looking for you too. We’ll have a much better sense of where things stand soon. This is a time for patience. Don’t automatically stop what you’re doing today. All that said, unless you have reason to believe you’re doing something customers will hate, you’re likely fine with keeping your current activities in place. Again, this is a time for patience. 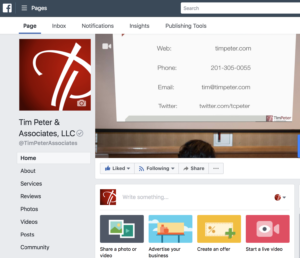 Keep an eye on your Facebook presence’s performance. Let’s assume the #DeleteFacebook campaign steamrolls towards success and consumers start abandoning the social network en masse. Should you immediately cut your losses and jump ship too? Probably… not. It doesn’t matter how many users Facebook has. It matters who those users are. If your guests continue to use Facebook, you probably need to continue to engage with them there. By the same token, keep a close eye on what’s happening with the reach and engagement your hotel’s posts receive. Look for signs that show how your customers are reacting — or not — to Facebook’s struggles. And, just like you should do with any channel, react accordingly to the reality, not the rumor. While you’re at it, examine your own data practices. Facebook’s day of reckoning offers a warning to all marketers about the dangers of data collection. Consumers clearly care more about the risks in “free” services like Facebook than they did just a few weeks ago. Yes, this could blow over. But the more likely outcome is that they approach all marketers with a greater degree of skepticism about what data gets collected, by whom, and how it gets used. So be upfront with your customers about the data you collect and how you use it. The coming GDPR regulations require this, by the way, so you may as well get on board before regulators everywhere require it. Conduct a serious data audit and ask yourself whether you even need all the data you collect. Ultimately, you want to demonstrate to your guests you’re a trusted partner looking out for their best interests, ideally by being a trusted partner looking out for their best interests. Clearly, Facebook is taking its lumps right now, both for its actions and for its woeful response to the situation. But despite the best efforts of the #DeleteFacebook campaign, nothing suggests that guests are abandoning the platform in large numbers. That could change at any time. Your best bet is to ensure you’re doing right by your customers and their data. Ensure you’re acting in an ethical manner and, as is often the case for hoteliers, acting in the best interests of your guests. Make it easy for customers to understand the data you use and what you use it for. Keep track of how your customers are responding to the Facebook scandal to see if the social platform continues to provide value for your hotels — or if it’s time to find a better option. And, as ever, continue to dig past the headlines of these stories. We’re undoubtedly going to see more of these issues in the weeks and months ahead. Knowing how to respond today is useful; knowing how to respond in the future is vital. Social media likely will continue in a key role for hotel marketers, Facebook’s missteps notwithstanding. The key for you is how continue you make it work as you — and your customers — move into a new normal. Because failing to listen to customer concerns and respond to those appropriately — regardless of whether Facebook is involved or not — would be the real scandal. If you’re looking to learn even more about how changing customer behavior will shape your marketing going forward, be sure an register to receive a special report I’ve produced in conjunction with hotel marketing firm Vizergy, “Digital Hotel Marketing in a Multiscreen World.” While it’s targeted specifically at hotel and resort marketers, the lessons apply to just about any business. You can get your free copy of the report here.